If you rely on your well water to drink, cook, bathe, and more, then you know how important it is to keep your well in working order. At the first sign of any water well pump problem in CT, you need to make sure to schedule a well water repair so that the issue can be resolved quickly. At Greco & Haines, we are available for both scheduled and emergency well water pump repair to make sure you and your family always have the water supply you need. Decreased Water Production – If you notice that your well is suddenly producing less water than usual, that is a good indication that you need well repairs. Your pump could be worn out, you could have iron buildup in the pipe, or you could have a leak underground. Changes in Your Water Quality – If you start to notice that your well water has a weird odor to it, it doesn’t taste like it usually does, or it isn’t clear anymore, then you probably have iron in your pipes or corrosion in your system somewhere. Intermittent Pump Cycling – In a properly functioning well system, the pump should cycle on and off every 30-90 seconds. If you hear the pump cycling on and off any faster than that, then you need well water pump repair. No matter what issue you are having with your well water, the solution is the same: contact us immediately. 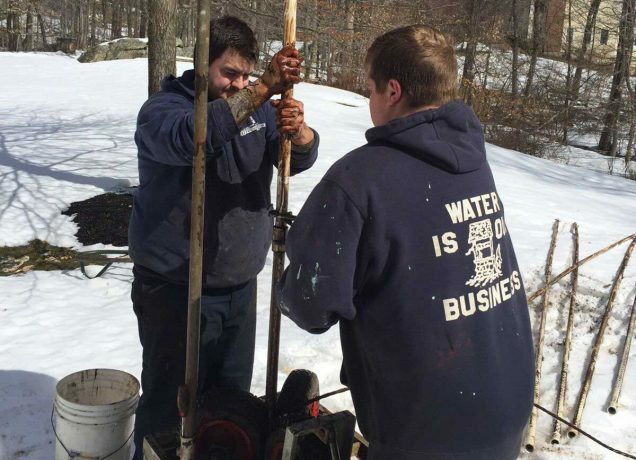 Our highly qualified team has over 55 years of combined experience providing well pump repairs in Connecticut, and we will be able to identify the issue and resolve it quickly and efficiently. We provide both scheduled and emergency service for well water repairs to ensure you are never left without your water supply for too long. In addition to providing the well water repairs you need, we can also be proactive and perform regular maintenance to make sure your well is functioning as it should. If we can prevent any issues from occurring in the first place, then you can prevent costly repairs in the future. Whether you think you are currently having water well pump problems or you want to schedule a well pump checkup, contact us today. Prev:Do You Need To Test Your Well Water Quality?